Before you do anything, please read this article. Hopefully, this will assist a new Persian cat owner with a few ways in which they can prepare for their new Persian cat or Persian kitten. View our Supply List for recommendations on specific products, toys, grooming products, & food and water dishes. Prior to bringing your new Persian cat or Persian kitten home, you should always cat-proof your home. Close open windows, remove toxic plants, and keep electrical cords to a minimum. When planning on what day to bring your Persian home, schedule it for a time when you can be home (like the weekend), and it will be quiet, such as the beginning of a weekend. Pick a room, (small room, bathroom, etc.) for the kitten to be kept in the first few days. Put its litter box, food, and water in this room. Over the next few days to a week or so, allow him to explore the rest of the house. Please note: If you already have other cats, you will need to quarantine your new Persian for at least 12 days from your existing cats and/or kittens. Prior to introducing the Persian to your existing cats, you will want to make sure the new Persian is vaccinated, disease free, and tested for FeLV (Feline Leukemia). As cats are territorial and like a solitary existence, it may take a month or so for your existing cat(s) to accept a new one. Since you are already going to have your new Persian kitten in a room by itself for about 12 days, that will give them time to get to know each other under the door. They will become accustomed to each other's smells and may even start to play "footsie" under the door. Until the new Persian cat makes friends with the current residents it is advisable to keep claws on all the cats clipped short in case of disagreements! There are many toys specifically designed for cats. Provide your Persian cat with toys and a scratching post or tree. 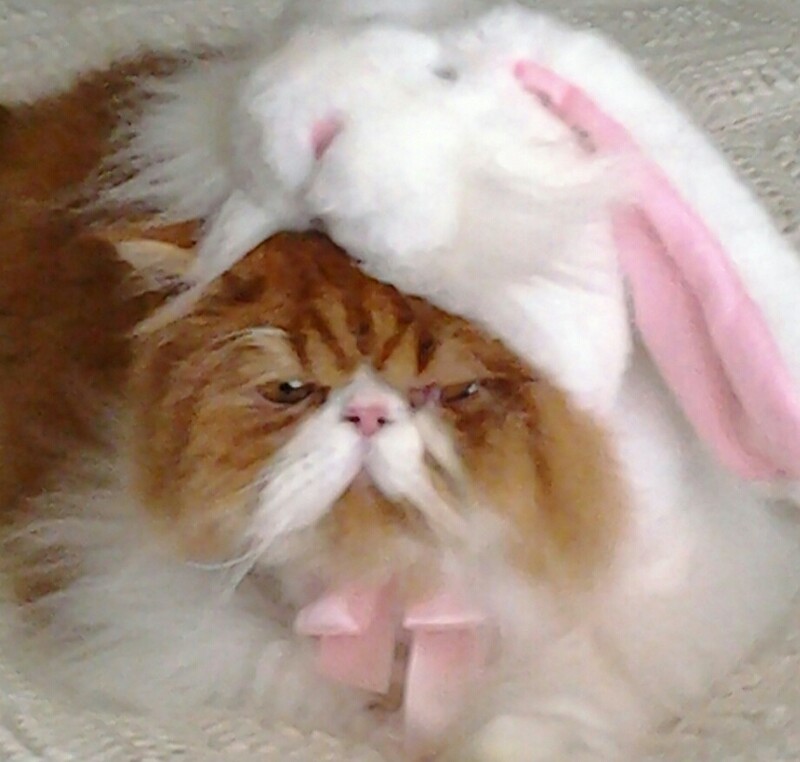 Cats love to play, but make sure the toys are safe for your Persian. Do not allow your Persian to play with toys with strings, or small removable objects. Also, do not allow your Persian cat to play with balls of yarn. 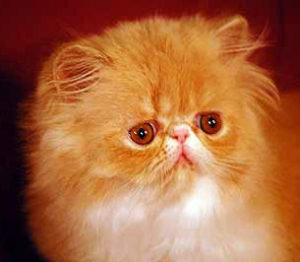 You may need to experiment with different types of toys to find one your Persian likes. Bowls made of metal or ceramic are easier to keep clean. You will want to clean the food bowls weekly if feeding dry food, and daily if feeding canned/wet food. Always provide clean, fresh water to your Persian. It is best to put the food and water dishes in an area where there is less traffic in the home and always feed them in the same place. Provide the cat with a litter box that is big enough for it to fit inside with plenty of room for him to turn around and to dig. Make sure that the litter box is in a quiet place to provide your Persian cat with a sense of privacy and security. There are many different kinds of litter, choose one that your Persian likes (you can ask the breeder or person you got the cat from which brand they used). Clumping litters make it easier to keep litter boxes clean. Scoop the litter box on a daily basis. If using a clumping litter, on a monthly basis, dump the old litter and wash the litter box out with soapy water. If using a clay litter, the litter should be changed out and washed on a weekly basis. Make sure to provide one litter box for each cat you own. Kittens may have a tough time getting into a large, deep litter pan and may need to be provided with a smaller version. Keep your Persian cat free from infection by keeping it indoors. Good luck and have fun with your new kitty!